Just landed! Available now for immediate dispatch! Just like a clucky hen, but electric. 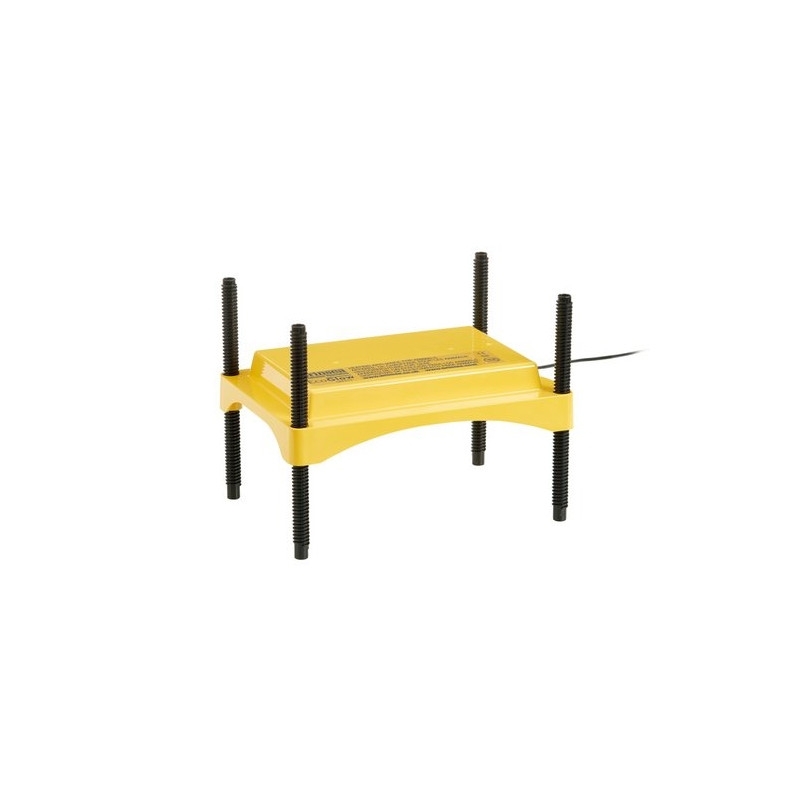 Safe & economical with no risk of fire or burns & very safe to use where children are present. 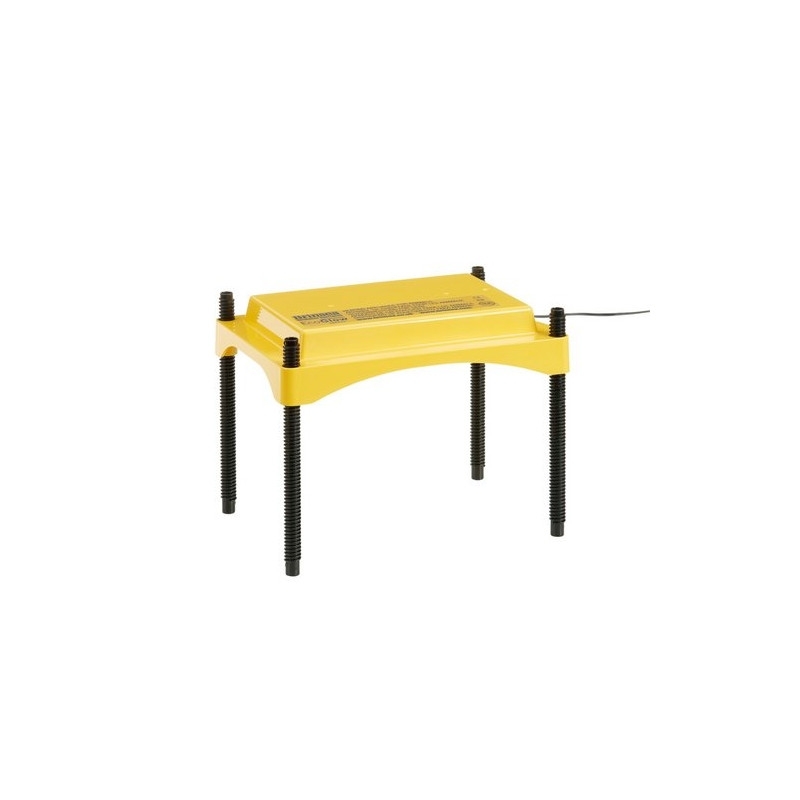 This heating plate is suitable for max ± 15-20 day old chicks. The NEW Brinsea EcoGlow Safety 600 Chick Brooder is the efficient and safe way to keeping newly hatched poultry, game and waterfowl warm. Suitable for max ± 15-20 day old chicks. The EcoGlow Safety 600 is ideal for keeping newly hatched poultry, game and waterfowl warm for the crucial first days and weeks following. The low voltage heater panel warms the chicks directly by contact. The radiant heat is far more economical than a conventional infrared lamp, using about 5% of the electricity of a 250 watt suspended lamp, which is important when heating for 24 hours a day, 7 days a week. 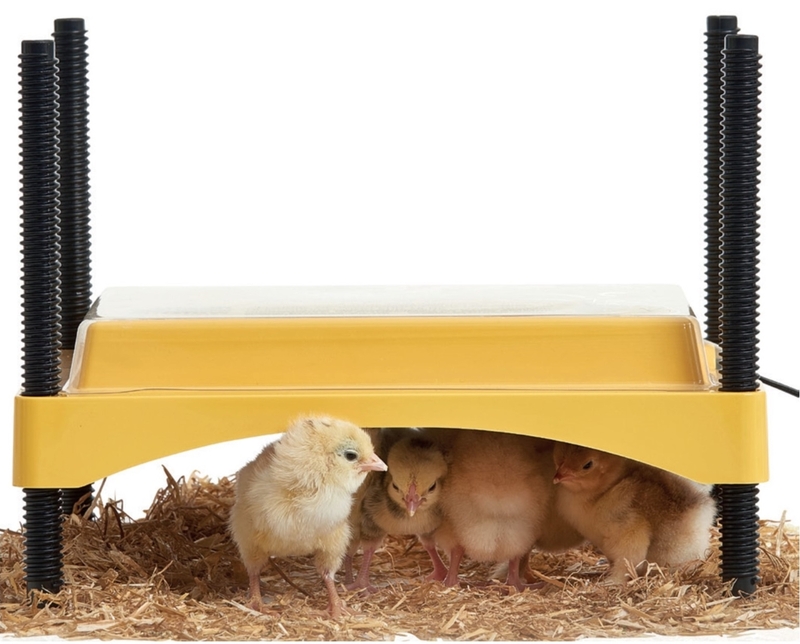 Contact with the EcoGlow Safety 600 is a more natural way of raising chicks than a heat lamp. It avoids the stress of being under light both day and night and the chicks get used to the natural light changes of night and day which improves weight gain and feather growth. The metal heater plate of the EcoGlow Safety 600 improves heat radiation and evenness of temperature under the brooder as metal is a much better conductor of heat. The lower contact temperature and the easy height adjustment means that chicks can be 'contact brooded' (like the mother hen) for maximum comfort and lowest wasted energy. The flared 'skirt' around the heater retains more heat, improving efficiency and reducing energy use. The EcoGlow Safety 600 has easy height adjustment for a wide range of chick sizes and its tough plastic and metal construction makes it durable and easy to clean. Supplied with a 240v NZ mains adaptor incorporating a 3 metre lead, simply plug in and go - no extra accessories, plugs or cords required. For indoor use only - room temperature should not drop below 10 degrees for newly hatched chicks.